DAB digital radio listeners across Surrey and South London are to get access to two brand new stations from midnight tonight, as part of the beginning of a major expansion for one radio group. JACK and JACK 2, part of the most awarded local radio brand in the UK has commenced its ambitious expansion plans by launching the stations in Surrey and South London on DAB Digital Radio from midnight. The stations are already live on RadioPlayer and TuneIn. An additional 3.8 million listeners will be able to enjoy the JACK breakfast show “JACK’s Morning Glory with Trev and Caroline”, which won a prestigious joint Presenter of the Year Award at the Arqiva Commercial Radio Awards last month. In line with their slogan, JACK be playing "what they want" throughout the day. stations allowing listeners to control the music. This new station uses innovative technology from Futuri Media, allowing listeners to vote for their favourite songs on jack2.com and using JACK 2's mobile app. Just like their sister stations in Oxfordshire, both stations will offer local JACKtivities and regular traffic updates. The stations are operated by Oxis Media, which acquired the JACKfm brand for the UK and Europe from Canada’s Sparknet Communications earlier this year. The Oxfordshire stations are enjoying one of the highest audience figures since the licence was awarded over twelve years ago, now reaching 104,000 listeners weekly. Oxis Media is working with Triton Digital to offer inStream targeting technology to advertisers, as well as with tools from Omny Studio to bring radio into the connected age. "We're thrilled to be launching two brand new JACKs into Surrey and South London. We will have a strong local commercial presence in the area as we introduce our brand to local businesses over the coming months. As always, JACK will be at the cutting edge of all things digital and we’re excited to work with various local advertisers to help reinforce their commercial messaging. We acquired the JACK brand outright earlier this year which enables great opportunities for growth, and this is the first of a number of expansion announcements we plan to make in the next twelve months. "Now, millions more will enjoy JACK playing what we want. We just hope they don't ask for a request." Both stations already operate in Oxfordshire, via FM and DAB. The station’s owner Oxis Media is preparing to expand the brand nationally. As a result, other stations that franchised the name JACK FM, but were owned by other companies in places like Bristol and Hertfordshire have been renamed, so there's only one company expanding JACK-branded stations in the UK. In Surrey and South London, where JACK and JACK2 will launch, DAB is listened to by over 45% of people every week, higher than the national average. The stations will be available on the Surrey local multiplex. It already carries BBC Surrey, so if you can receive that station on DAB, it’s likely you’ll be able to get JACK and JACK2. You may need to retune your DAB radio. 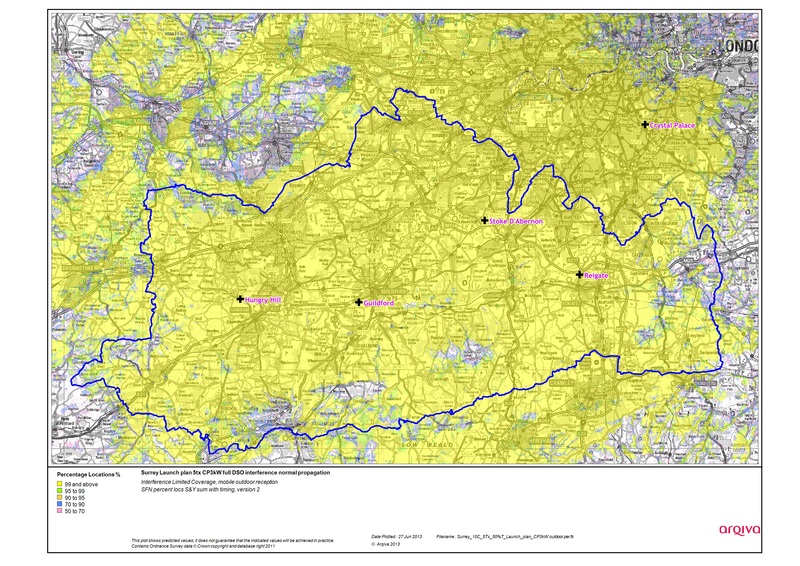 A map of the station’s coverage area is available here, courtesy of local DAB operator MuxCo. You can check which stations are available in your area on the Get Digital Radio postcode checker, click here (external link).